Business lawyers, also referred to as corporate lawyers, assist business owners and business management with corporate legal and regulatory matters. Business lawyers provide counsel on and facilitate the creation of contracts for vendors, employees, clients and third parties. Corporate lawyers navigate the realm between a business and the regulatory environment, ensuring policies adhere to local, state, and federal corporate law. Many business lawyers also ensure compliance with trademarks, patents, and intellectual property guidelines. Corporate lawyers also assist in contract negotiation or in the merger, acquisition or sale process. Business lawyers must be well-versed in local, state, and federal business law, as well as develop an understanding of how the laws relate to the day-to-day running of a business. In addition to ensuring their client’s adherence to the law, corporate lawyers often provide a perspective on how legal issues will affect a company’s bottom line. Thus, corporate lawyers often walk the fine line between business and law, merging the two quite often while maintaining a sense of legal compliance and profitability. Business lawyers typically serve as consultants to a business that is contemplating a legal move, and can provide valuable insight on how to maintain compliance with the law while taking financial advantage of the change in question. 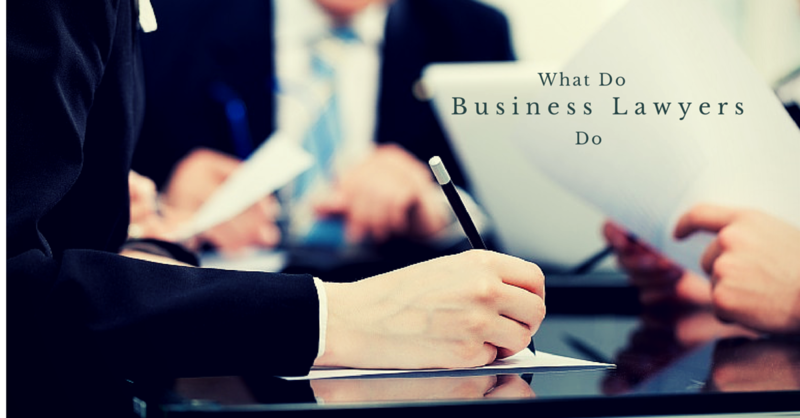 Business lawyers may specialize in a variety of industries depending on their clients. The specializations may include start-up businesses, family owned-businesses, manufacturing clients, service industry clients and transactional tax matters. Corporate lawyers are also often part of a company’s management team through their service as a member of the Board of Directors, as outside General Counsel, or as Chief Legal Officer. A competent business lawyer plays a critical role for any successful business, ensuring that the company maintains compliance with the law while facilitating the company’s growth through strategic transactions. Contact one of the business attorneys at Baker, Braverman & Barbadoro, P.C. today for assistance with your company’s corporate legal needs.